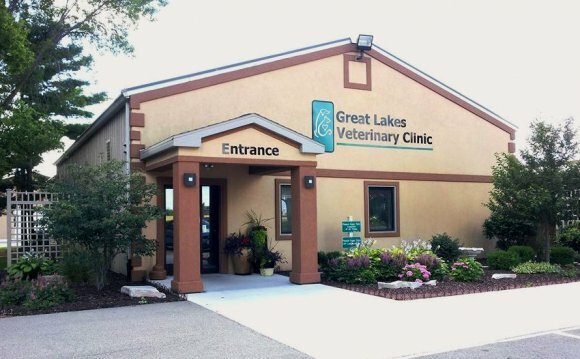 Great Lakes Pet Emergencies (GLPE) has been a staple of the tri-cities for more than 10 years. 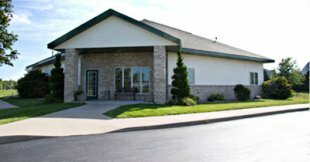 Our hospital opened in 1999 after many of the local veterinarians identified a need in our area for more advanced, comprehensive after hours emergency care for their patients. Construction on our modern, state-of-the-art hospital was completed in 2000. Our facility has an open floor plan featuring ICU cages in our treatment room for close supervision and monitoring of all our patients, oxygen delivery cages, an isolation ward, a large surgery suite, in-house laboratory, and complete pharmacy. In addition, a total renovation of our client areas was completed in 2010, creating a warm, calming atmosphere for all of our arriving patients and families. We do not provide vaccinations or perform routine health procedures at our facility in an effort to have our staff and doctors always available for your pet’s illness or injury. 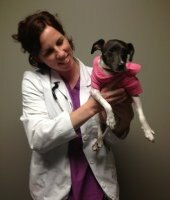 Our practice is designed to support, not compete with, your regular daytime veterinary hospital. ultrasound, endoscopy, telemetry, continuous oxygen administration, an anesthetic ventilator and blood gas and lactate analysis. Our anesthetic monitors are equipped with ECG, main-stream capnography, non-invasive blood pressure, continuous temperature monitor, and pulse oximetry to ensure every pet has the safest anesthetic experience possible. Dr. JoLynne Grant grew up in Bay City. 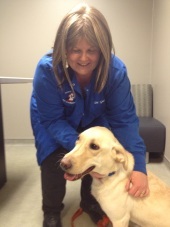 She moved back to the Great Lakes Bay area in 1999 and opened Great Lakes Pet Emergencies. She and her husband have a golden retriever named Polo and a rescued Labrador retriever named Dooney. They all enjoy swimming and travelling around Michigan. Dr. Grant can often be found playing trivia in local contests. One of our original employees from when we started in 1999, Lindsay became the full-time practice manager of our hospital in 2008. 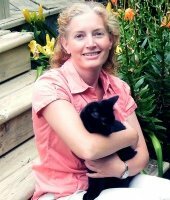 Her passion for animals has been there her entire life, growing up with dogs, cats, horses, and even a rabbit. 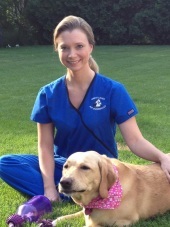 Lindsay’s favorite part about her job is being able to help heal sick or injured animals while also comforting worried or stressed pet owners. 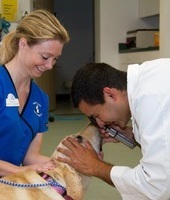 “I bring compassion and caring to every patient and family I work with. 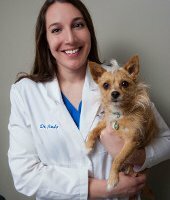 I understand how difficult it can be to be worried about a member of your furry family.” She enjoys the fast pace of an emergency hospital and is always enthusiastic about her work. When not at work, Lindsay enjoys spending time horseback riding and vacationing in warmer climates with her husband Kevin. Lindsay also shares her life with a Beagle mix Buddy, along with their three cats Sully, Wyatt, and Virgil.